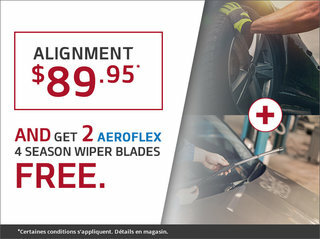 Whether it's for a simple oil change or a major repair, the team at Lallier Kia de Laval is here to get you back on the road quickly and for a fair price. 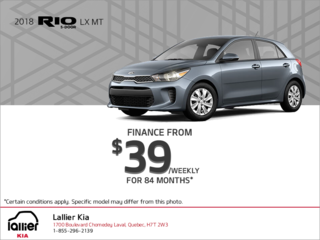 For an effective and personalized financing solution, you can trust Lallier Kia de Laval. 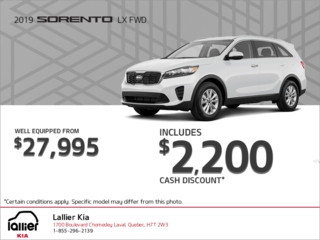 Our finacing team is here to help get you behind the wheel of your dream car. 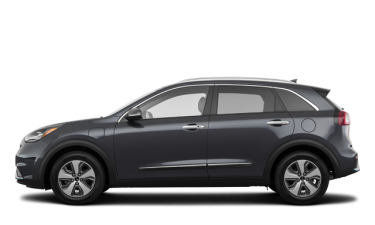 Lallier Kia de Laval, a proud member of Groupe Lallier, has provided courteous and professional customer service for over forty years. You have always been our number one priority and we strive to always give you a great dealership experience with every visit. 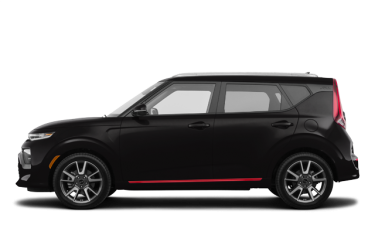 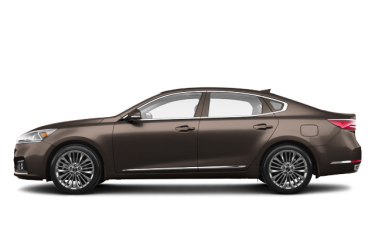 No matter what automotive needs you have, the experts at Lallier Kia de Laval are here to serve our customers in Laval and the greater Montreal region with dedication and commitment. 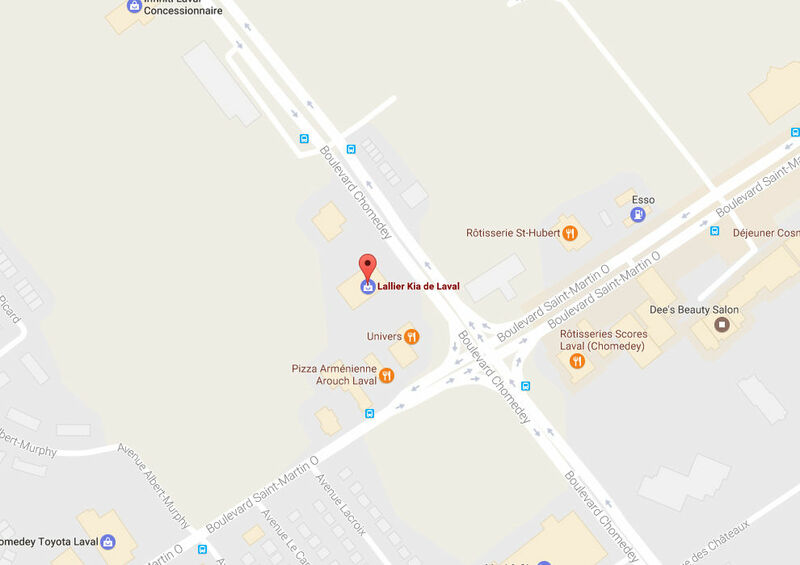 Lallier Kia de Laval is easily accessible from Highway 25, Highway 440, Highway 640, Highway 13, Highway 15 (Laurentian) and is close to the 117 and the 148. 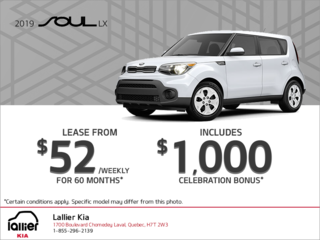 At Lallier Kia de Laval, we have the complete lineup of new Kia vehicles at competitive prices. 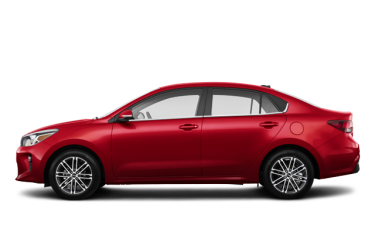 We offer the entire new Kia vehicle lineup including the new Kia Optima and Optima Hybrid, Kia Forte, Forte Koup and Forte5, Kia Rio and Rio5, Kia Rondo, Kia Sorento, Sportage and Kia Soul. 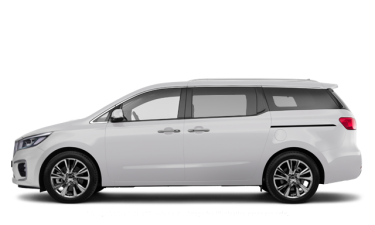 Visit our new vehicle page and discover the specifications of each vehicle as well as high-quality images from different angles, so you can know each vehicle inside and out before you even set foot in our dealership. 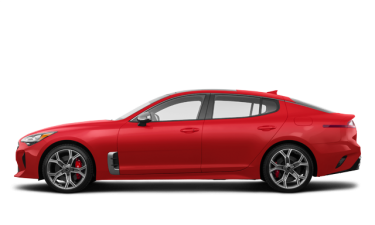 All of our new Kia vehicles are available for a test drive, so book an appointment today to take the next step in finding the perfect Kia vehicle for you. 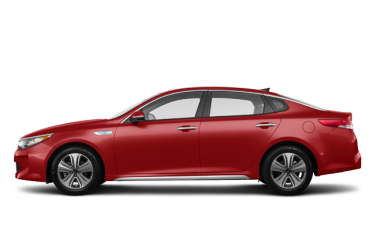 Alongside our new Kia lineup, we also offer an extensive inventory of pre-owned vehicles. All of our pre-owned vehicles are thoroughly inspected to ensure that they are the best quality pre-owned vehicles available. 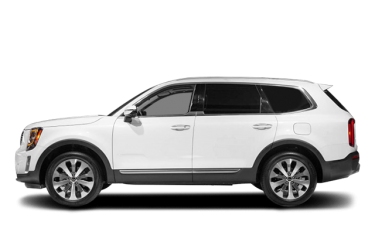 We only offer exceptional pre-owned vehicles that pass our rigorous tests because we want to give you peace of mind while you’re shopping through our inventory and when you leave with your perfect pre-owned vehicle. 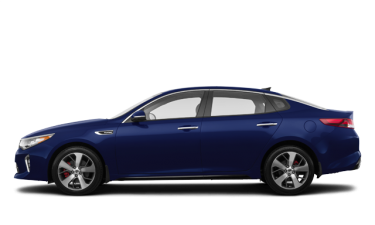 We also carry pre-owned vehicles from other trusted brands such as Buick, Chevrolet, Ford, GMC, Honda, Hyundai, Mazda and more. 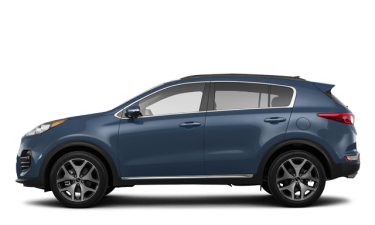 Visit our financing specialists to learn how easy it is to finance or lease your next dream Kia vehicle. 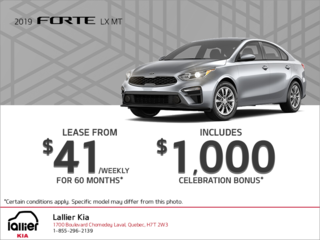 Our financing department will get you a flexible financing and leasing solution that’s faithful to the good reputation of Lallier Kia de Laval and Groupe Lallier. 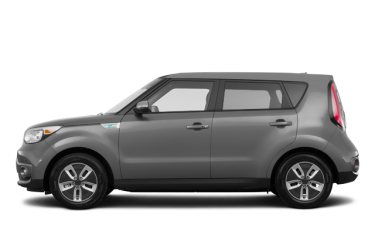 The low interest rates of our financing plans apply to our new and pre-owned vehicles. 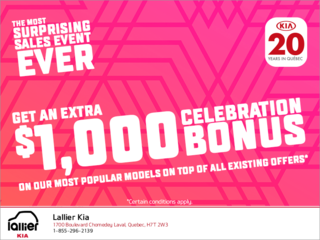 At Lallier Kia de Laval, we make every effort to facilitate the credit application process. 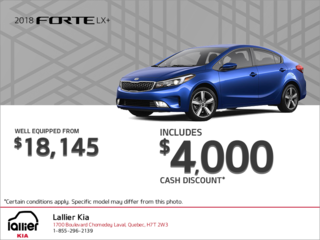 We also offer second chance credit with one of the highest acceptance rates on the North Shore and in the Laval region. 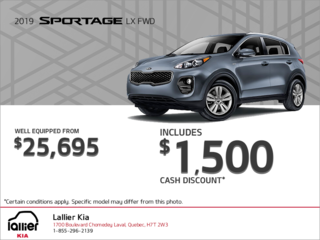 Come visit Lallier Kia de Laval to experience a pressure-free environment while you shop. 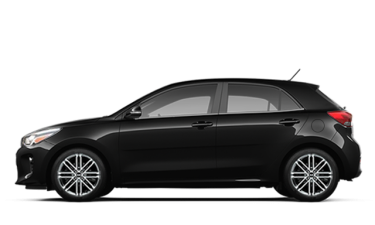 We also have a full range of services available because we want to take care of your vehicle even after you’ve taken it home. 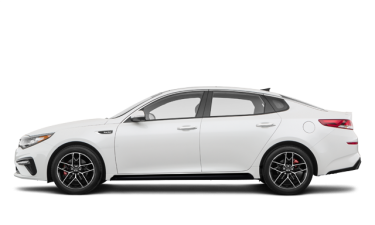 All of our technicians are Kia certified and they continuously follow new training programs at the forefront of their field. 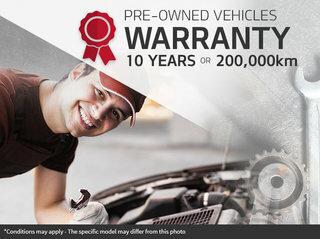 Our services include maintenance, repairs, detailing, body work, parts and accessories and more. 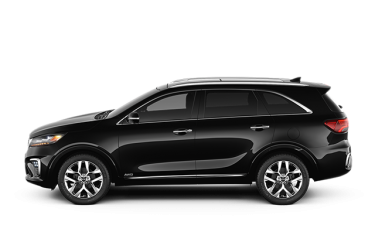 Whatever your Kia vehicle needs, we’re here to provide it. 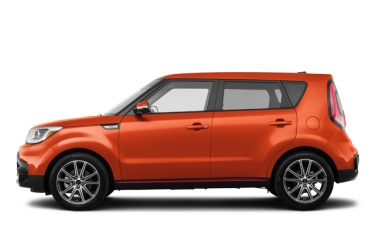 For more information about our new and pre-owned Kia vehicles, our services and our Kia products, contact us today at 1 844 702-9127, or by using our online contact form.